It wouldn’t be the beginning of a new month without a round up of favourites from the last. That’s exactly what I’m bringing you today, and last month I managed to accumulate nine things which I think are fantastic and definitely worth mentioning. Today there’s a great mix of fashion accessories and beauty products so there’s something for everyone and most importantly nothing was over the £50 mark. Hurray! Firstly number one is a chain necklace from H&M that I have already raved about no end on the blog this month so I shan’t go on anymore. What I will say is that this versatile hardware style necklace is excellent value for money at £6.99 and you can read more about it and H&M’s current grungy jewellery collection by clicking here, as I wrote an extensive blog post about it last week. Number two is a great little nail polish from a new brand that I’m unfamiliar with called Angelica. I picked up this gorgeous blue glitter polish from an Angelica stand in Primark on Oxford Street at the beginning of the month and have fallen in love. The glitter is very dense and around four coats will give you an opaque finish, the formula reminds me of the Barry M glitter polishes if you are familiar with them, and it’s around the same price point. This nail polish was only £2.50 and there were tonnes of other glitter colours as well as bright colour pop hues reminiscent of the bright Nails Inc. colours that are popular at the moment. I wore this over the top of Rimmel’s Aqua Cool and it added an interesting multi dimensional effect. 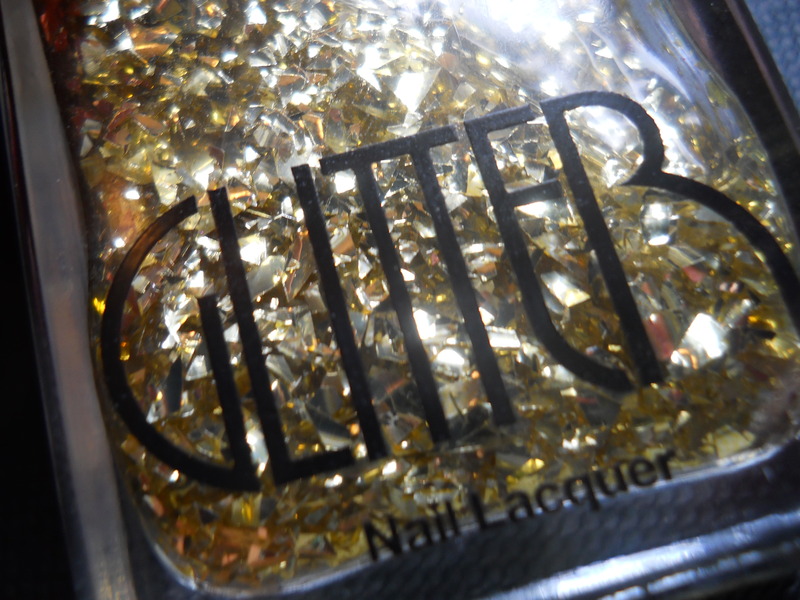 I’m a sucker for a glitter polish so this was always going to be a winner for me, but I think it’s a great cheaper alternative to some higher end glitter polishes that are out there. 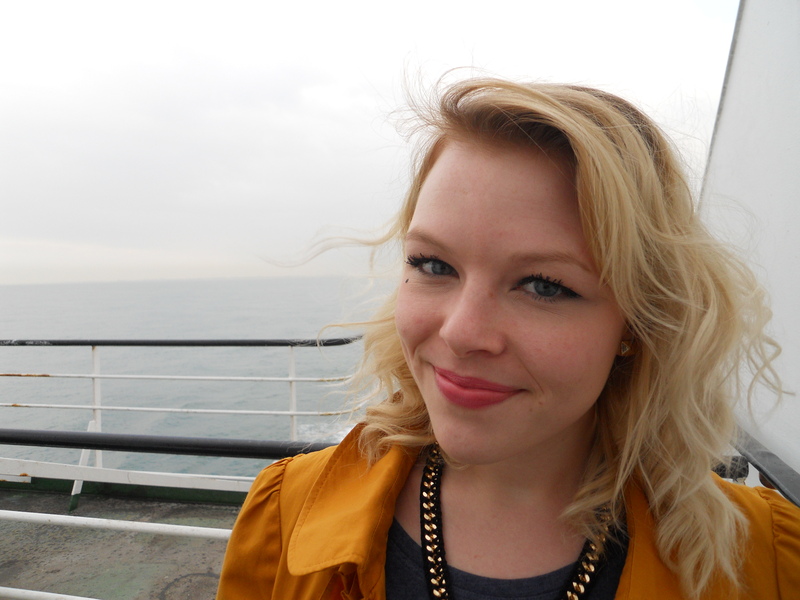 Number three is a lipstick that I only picked up a few days ago and which I have been wearing almost daily since. It’s Revlon’s Super Lustrous Matte Lipstick in Pink Pout which is a super cute almost icy/baby pink. It’s not for everyone and depending on the skin tone it could make you look a little ‘dead’, however it really suits me and I’ve loved going for a paler lip look compared to the brights I usually wear. I was desperate to get a colour like this, as you may know I’ve been loving Marina Diamandis’ style at the moment, and she’s been sporting more or less the same make up look throughout her press exposure lately, which consists of a lip like this, and I’m loving it. While it’s not an everyday look, there are parts of her make up look which can be toned down for day, she’s gone for heavy brows, highly defined bottom lashes, a beauty spot in the shape of a heart and then icy pink lips and I think it looks amazing, though not the most wearable. I thought that a nice addition to my everyday make up would be the lipstick alone, as a little homage to Marina, and this liptick is it. 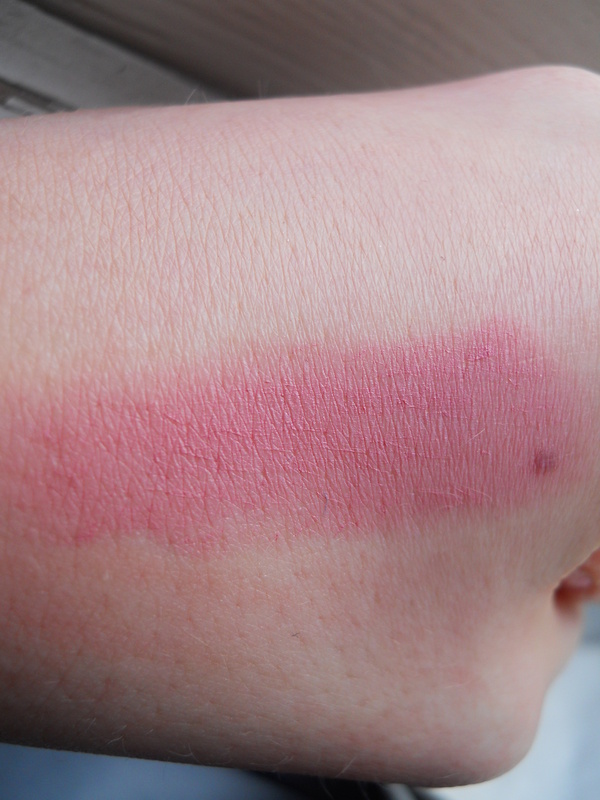 Here’s a swatch on my hand, it looks a little warmer than in reality (damn lighting!) though no doubt you’ll see it on me in an OOTD in the near future to really see the full effect! I believe that this was around £7 from Boots and is available at all good ‘drugstores’. 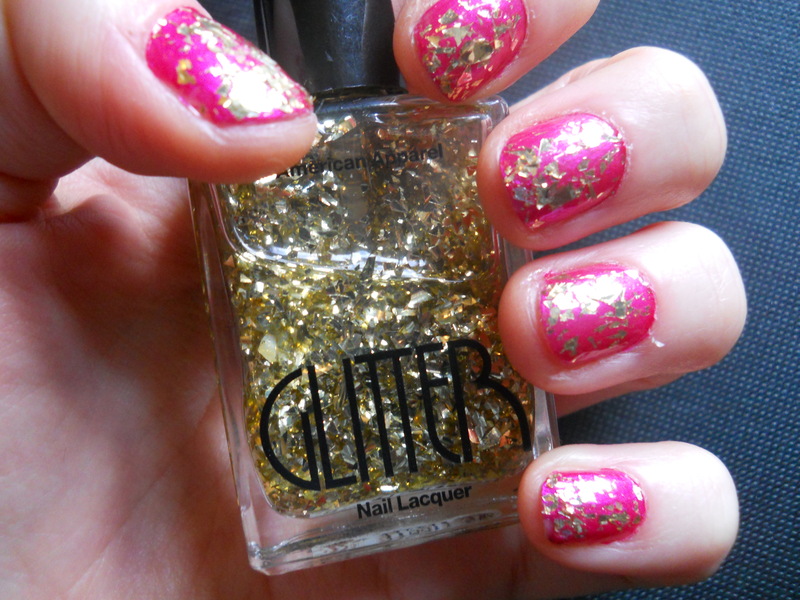 Number four this month is another glitter polish (hello problem) and it’s American Apparel’s Meteor Shower. This was recommended by Kate of Dolly Bow Bow on Youtube in a recent nail favourites video and I instantly bought it online when I saw it. 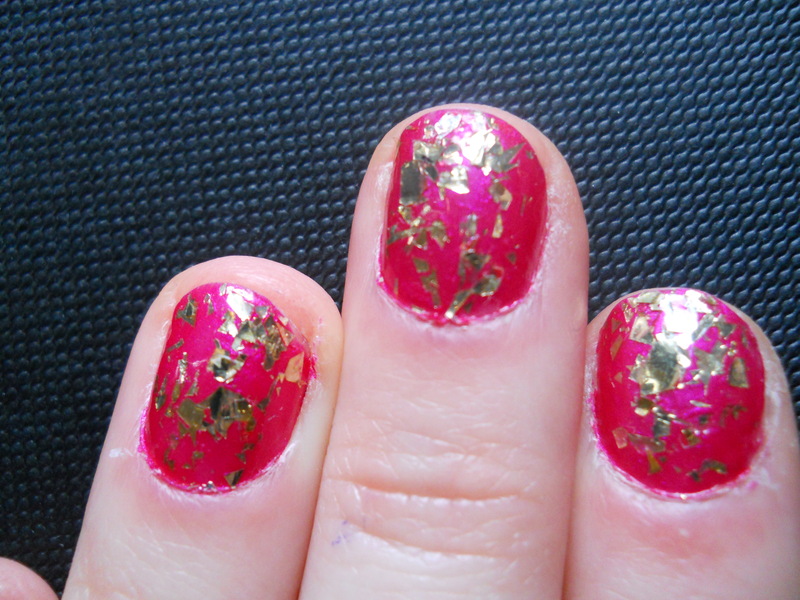 It’s an incredible gold leaf effect polish that consists of a clear base with large ripped gold foil pieces in it. It wasn’t cheap at £9, which I consider pretty much extortionate for a nail polish, however it is a huge bottle and I know I’ll wear this manicure a lot. This weekend I wore Rimmel’s Shocker which is a bright magenta with about two or three coats of this polish over the top and I really loved the outcome, isn’t it fab? Number five is another product that I’ve mentioned this month already and it’s L’Oreal’s Colour Riche Serum lipstick in Freshly Candy which was again around £7 and I picked this up on the ferry on the way back from France. I love the colour, it’s a true coral pink and it’s the epitome of a summer lipstick to me. It’s a very easy to wear shade as there’s nothing that this is going to clash with and depending on how much of it you apply it can be quite sheer for a more natural look. I talked more about this lipstick in the first OOTD I featured it in so I’ll link that here, as I don’t want to repeat myself, but here is the photo I took that day after applying it. A quick one for number six which is a fab knuckle duster ring from H&M. I believe this was £2.99 and I picked this up in the Covent Garden branch earlier in the month and have worn it no end! It looks great when clashed with bright polish and just injects a bit of fun into an outfit. The bright pink is so summery and totally up my street at the moment so you can’t go wrong for under £3! Another quick mention for number seven which was an impulse purchase while in Primark lately. This little £1.50 charm necklace simply has my first initial on it and though I was desperate for an ‘M’ they didn’t have any left and I really wanted one so I went for a ‘C’ to represent my full name instead. I think this is so cute and understated (despite the hint of diamante) and I’ve been wearing it with other necklaces too for a layered up look. This makes a really cute little gift if you have a friend’s birthday coming up, though I also love it just as a little treat for yourself. It’s cheaper than a take out coffee! 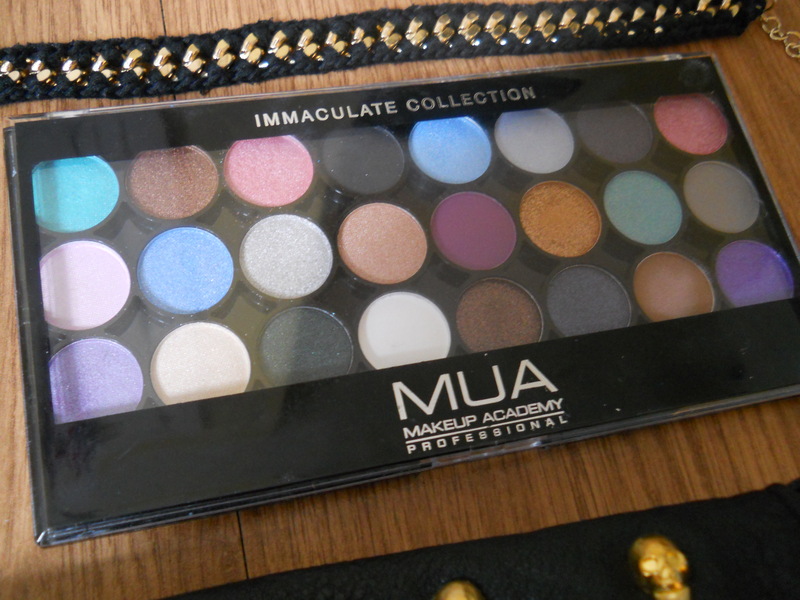 The penultimate item, number eight is one I could not resist, being a beauty lover, and it’s MUA’s Immaculate Collection eyeshadow palette. The Youtube community raves on and on about MUA, which is so super cheap it’s insane yet they manage to create great products that actually do their job. After hearing one of my favourite Youtubers and make up artists, Sam at Pixiwoo, talk about how she loved the MUA eyeshadows, I just had to get some. It was while I was in Westfield Stratford City lately that I saw this huge MUA palette for £8 and I caved to the hype. I’m glad to say that I was astounded at the quality as the eyeshadows are highly pigmented and long lasting, yet I paid so little for them. There are 24 shades in total and while there are neutrals there are also some great colours too for playing around with. I love that there’s a mix of finishes, there are shimmers and mattes and this really is a great one for travelling as it has more or less everything you need in it. I’m ever faithful to my Urban Decay Naked palette but this comes a close second in my collection now. What a bargain. Lastly it’s probably the piece I’m most excited about and I only got this this weekend so it’s still so spangly and new! It’s this incredible black, skull embellished bag from Max C London, and I think I’m in love. Shopping when cash-strapped is super dangerous for me, and when I saw this bag at the weekend my instinct was to buy it and worry about how to afford food later, but everyone knows that’s a bad idea. At £45 this wasn’t a cheap bag, but I fell so deeply in love with it things like rent payments just flitted out of my mind. Crashing back down to earth, I realised I could in no way fork out for it at the moment and tried to move on. It was then that my wonderful boyfriend decided he’d be extra wonderful and treat me to it, which is the kindest thing and which I must admit I felt a tad guilty about. He insisted, and now this fabulous piece of arm candy is mine and I cannot stop swooning. Thank you Adam! I believe that this bag is now sold out as it was available on Max C’s online store and at ASOS, however I picked it up from a boutique in Shoreditch and it was also the last one! It’s a great every day bag as it has tonnes of space and you can adjust the chain to wear it as a cross body bag or as a regular handbag. The skulls give it that grunge glam look that I covet so highly at the moment and it’s going to instantly add a rocky feel to anything I pair it with. Disclaimer: all pictures were taken and are owned by me aside from the photo of Marina Diamandis which links back to the source. I purchased all products myself aside from the bag which was a gift from my boyfriend. All opinions are my own and I am not affiliated with any brands mentioned.